Indian handspun and handwoven cloth characterized by subtle variations in color, texture, and weave owing to its handmade, natural state. Traditionally, women spin the fibers and men weave on a simple treadle loom at home. Mahatma Gandhi promoted the production of India’s “fabric of freedom” in his campaign for Swadeshi and the revival of indigenous goods during India’s independence movement. 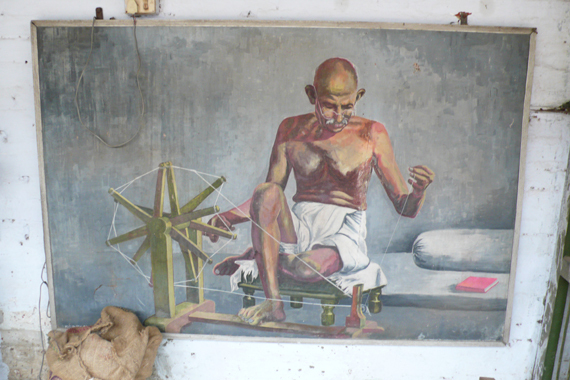 By using only domestic fibers and spinning, weaving, and wearing their own cloth, Gandhi believed that Indians could assert their economic independence and regain control of their textile industry from the British. An open checked weave of cotton and silk distinguished by a graph pattern, or khat. Superfine warps are woven intermittently with slightly thicker weft threads, creating the khat pattern while also providing overall lateral stability and added weight. True Kota doria is still produced the old way, tediously woven by hand on pit looms in Kota city, Rajasthan. Weavers may be men or women. A day’s work might yield less than 1 meter (~3 ft.) of fabric. Before arriving in Kota in the 1700s, the weave is said to have originated in Mysore, southern India, hence its alternate name of Kota Masurias. 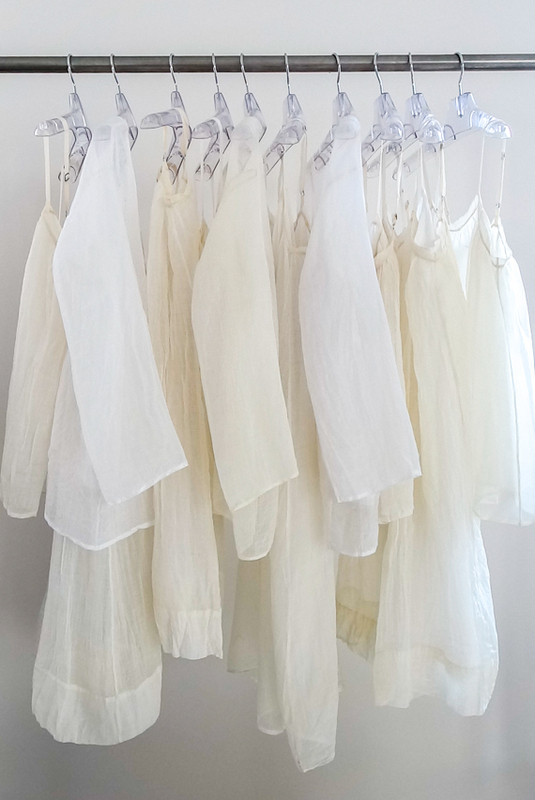 Although woven today in a range of colors, Kota doria saris were traditionally always made in shades of white to protect against the heat. In 1996, Uberto Spaghi brought a piece of Kota doria to dosa, introducing Christina to the fabric that inspired her first trip to India. A refined collector of Indian textiles and crafts, Uberto has been traveling extensively throughout India from his native Italy for 45 years. 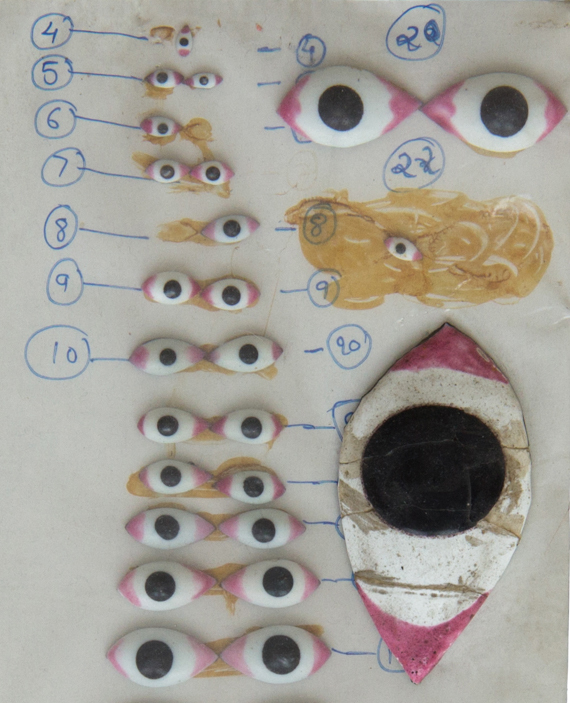 Paste-on enamel eyes applied to deity idols displayed in Hindu temples and homes. Gods’ eyes play an important role in worship. 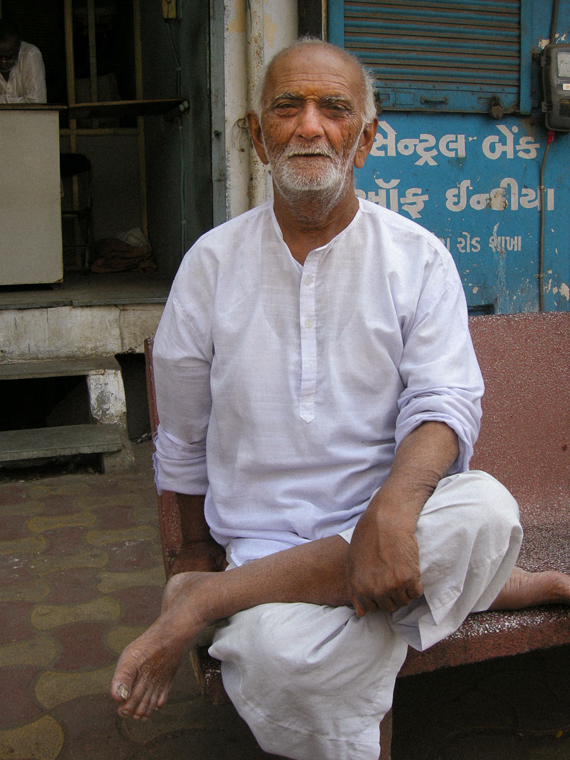 Devotees believe that direct visual exchanges (darshan) between deity and devotee facilitate the receiving of blessings. 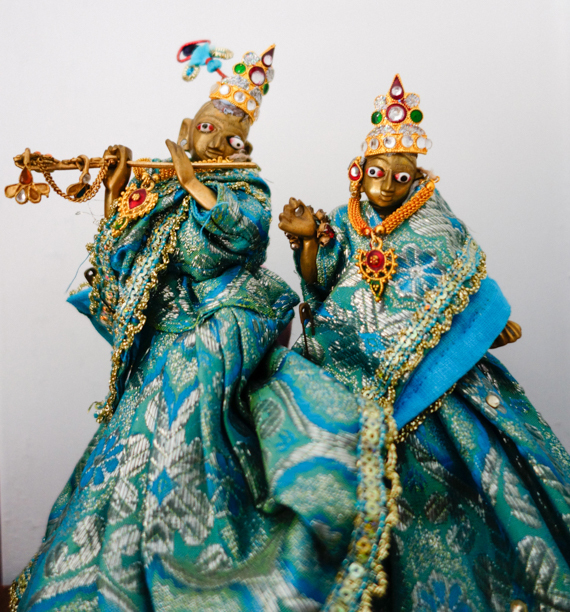 Christina discovered Krishna’s eyes on a tour of Old Ahmedabad city in 2002, at a small market stall devoted entirely to idol ornaments. Eyes are sold in pairs, their pinkish color giving the illusion of realness. We use individual eyes as bracelet and necklace charms. A loose fitting, knee or calf-length collarless tunic with a round neck, slightly flared hemline, two side pockets, and slits at the hem. Cleverly designed, the garment pattern makes the most economical use of fabric when strategically laid out for cutting. Kurta, or kurti for women, is commonly worn in India, Pakistan, and Bangladesh, and is perhaps the easiest thing for men and women to wear in much of the Indian subcontinent. It has been one of our staple silhouettes since 1995.